Diversified minerals exploration group, Pure Minerals (ASX: PM1) has been reinstated to official quotation from the commencement of trading on Friday, August 4, 2017 following the company’s re-compliance with Chapters 1 and 2 of the ASX listing rules. 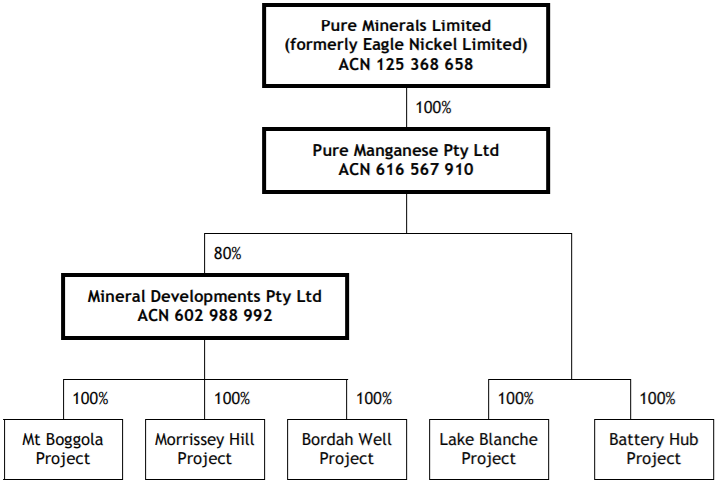 When formally trading as Eagle Nickel, the group’s business activities were constrained for several years as a result of limited available funding. On 26 October 2016, sweeping changes to the Board and shareholder base were announced, with the exit of Mr Mei – who, since May 2012, had held the position of Chairman and had also controlled 51% of the shares in the company. Since taking office, the new Board has spent considerable time on financial reporting as well as stating its intentions to pursue potential acquisitions with a compelling investment case, which would result in suspension of trading in its shares being lifted. If course this is an early stage stock and investors should seek professional financial advice if considering PM1 for the portfolio. On 30 March 2017, the company announced it had agreed to acquire the entire issued capital of Pure Manganese Pty Ltd (Pure Manganese), an Australian based proprietary company which was established in December 2016 as a special purpose vehicle to secure exploration and prospecting licences. 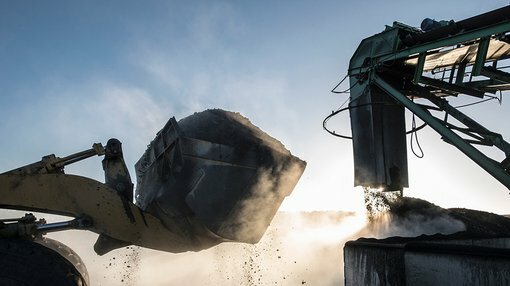 Pure Manganese has secured in its own name two exploration licence applications for projects prospective for manganese and has an agreement in place to acquire 80% of Mineral Developments (MDV), which holds four Western Australian exploration licences, conditional upon settlement of the acquisition. Pure Manganese also has an agreement in place with a subsidiary of GB Energy Limited (ASX: GBX) to acquire an additional South Australian exploration licence (EL5391) which is also conditional upon settlement of the acquisition. On completion of the acquisitions, PM1 will focus on exploring and developing the prospective package of tenements and tenement applications for lithium, rare earths, uranium, gold, copper and manganese projects in Western Australia and South Australia. The following outlines the tenements and proposed business make up of PM1 following completion of the acquisitions. Approximately $4.5 million has been raised recently of which approximately $2.8 million will be used to undertake exploration across the five projects as indicated below. While full details of the projects are available in the company’s prospectus dated August to 2017, Finfeed.com provides a brief summation of PM1’s assets/proposed acquistions as outlined by management. The Western Australian projects are all hosted by rocks of the Capricorn Orogen and associated metasedimentary and metavolcanic basins. These record the collision between the Yilgarn and Pilbara Cratons as well as up to seven subsequent deformation and erosional/depositional events. Tectonic trends within this zone wrap around the margins of these relatively stable cratons. The Gascoyne Project is hosted within the Gascoyne Province, the deformed and high-grade metamorphic core of the Capricorn Orogen. The Gascoyne Province comprises voluminous granitoid intrusions, mantled-gneiss domes, metamorphosed and partly melted sedimentary rocks and remobilized Archaean basement gneiss. 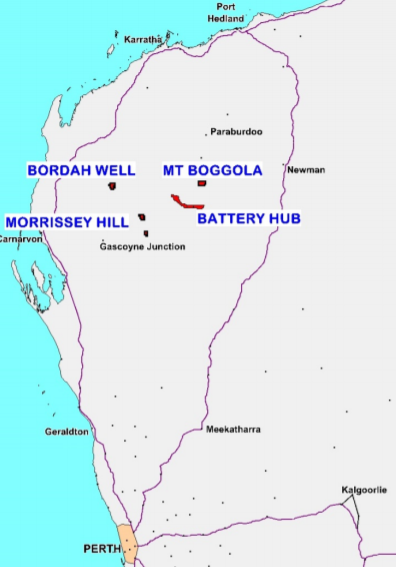 The province is subdivided into several fault or shear zone bounded, south-easterly to easterly trending structural and metamorphic zones, with the Gascoyne tenements being acquired lying within the southern Gascoyne Province. The Mt Boggola tenement (Pilbara Region) is located on the southern margin of the Ashburton Basin which extends for approximately 500 kilometres in an east south-easterly direction along the northern margin of the Capricorn Orogen. The Ashburton Basin has been overlain by the Bresnahan Basin to the south-east and the Bangemall Basin to the south and south-west. The Bangemall Basin is host to the Battery Hub Project. The basin is subdivided into the Edmund and Collier sub-basins, with the Battery Hub tenements overlying sediments of the older (and western) Edmund Basin. The Edmund Group consists of mostly fine grained siliciclastic and carbonate sedimentary rocks. The interaction of these three Proterozoic aged basins has resulted in substantial structural complexity and previous explorers have interpreted a number of deep-seated, mantle tapping structures, which are the likely source of intrusive and extrusive igneous lithologies within the basins. While not as well endowed with operating mines when compared to the Yilgarn and Pilbara Cratons there is evidence of mineralised systems being active during the various stages of the Capricorn Orogen. The DeGrussa copper-gold VMS deposit occurs in the Bryrah Basin in the south of the Gascoyne Province and the recent Monty discovery confirms the potential of this area. Gold has been mined at Peak Hill, a deposit interpreted to have formed in/from reworked Archaean basement, Mount Olympus, which some class as a Carlin-type deposit, and also the mafic gabbro hosted Paulsens Deposit. Given that DeGrussa and Peak Hill occur on the southern margin of the orogenic belt and Mt Olympus and Paulsens occur at the north of the orogen there is an argument that systematic exploration has not penetrated the Capricorn Orogen and unlocked its potential. Equivalent Proterozoic orogenic belts in Western Australia include the Patersons Province (host to the Telfer Gold Deposit) and the Albany Fraser Orogen (host to the Tropicana Gold Deposit and Nova-Bollinger nickel-copper-cobalt deposit). The Yinnietharra area, which contains the Morrissey Hill and Wabli Creek tenements, is host to a number of historical mines, which were principally developed to extract mica and beryl, and numerous mineral occurrences have been recorded in the GSWA’s database of mineral occurrences (Minedex). The majority of these date from the turn of the century and therefore there are records and discussions of various features in a range of geological survey bulletins, records and reports from 1900 to the 1940s. Government interest increased prior to, and during, the Second World War due to military uses of mica minerals. A number of these reports note the “variable quality” of the mica minerals which is interpreted to be due to damage from radioactive minerals. There was limited interest in the mica and beryl mines post-war with no significant exploration carried out until the 1970s, when all the Gascoyne tenements were part of the state wide uranium exploration push. Extensive work was completed in the Morrissey Hill – Yinnietharra area, initially targeted due to the well documented pegmatite occurrences, with cursory work completed in the Bordah Well area. Following the 1970s, exploration of the Gascoyne Project fluctuated, based on market sentiment and commodity prices. Due to its history of mining and well documented geology, the Morrissey Hill – Yinnietharra area was often explored when “rare” or “exotic” minerals were in demand. However most exploration programmes solely comprised mapping and surface sampling of some description. 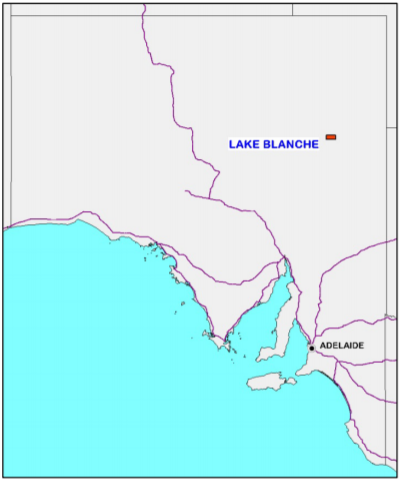 The Lake Blanche Project is located in the remote north-eastern part of South Australia approximately 120 kilometres north-east of Marree. Access to the general area is via the Strzelecki Track east of Lyndhurst and then via station tracks. The Lake Blanche Project lies within the Frome Uranium Province of South Australia, a region that is highly prospective for sedimentary uranium in Cenozoic sediments and contains a large number of existing uranium deposits (Beverley, Four Mile, Honeymoon Well). Of course, at this stage it is speculative as to what PM1 can do here so investors should take a cautious approach to any investment decision with regard to this stock. Mineralisation in the Froome Uranium Province is hypothesised to result from the leaching of uranium from granitic and metamorphic rocks in the Mount Painter Inlier approximately 100 kilometres south of the Lake Blanche Project. The same source rocks for the uranium mineralisation are also known to have high concentrations of lithium and rare earth elements. Elsewhere in the world, leaching of such rocks leads to the formation of groundwater highly enriched in lithium, potash, and rare earth elements. Should these groundwaters be contained in closed lake environments from which evaporation can occur, lithium rich brines could be present. The northern margin of the Froome Uranium Province comprises an extensive curvilinear topographic depressions marked by a series of lakes and lacustrine, fluvial and evaporitic sediments. The presence of a number of playa lakes including Lake Blanche, Lake Gregory and Lake Froome along this trend indicates potential for this process to occur. While PM1 needs to be considered as an exploration play, given its tenements lie in highly prospective areas and the company provides exposure to a range of metals, there is the potential for market moving news from upcoming exploration.